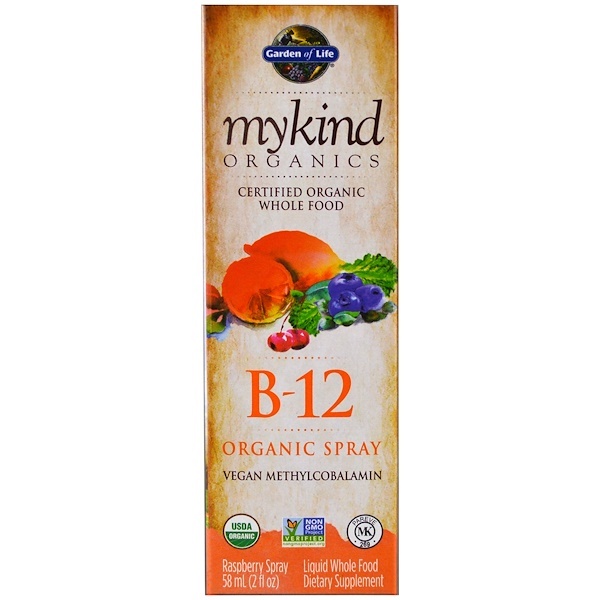 A Whole Food Vitamin B-12 formula that is certified organic and Non-GMO verified. 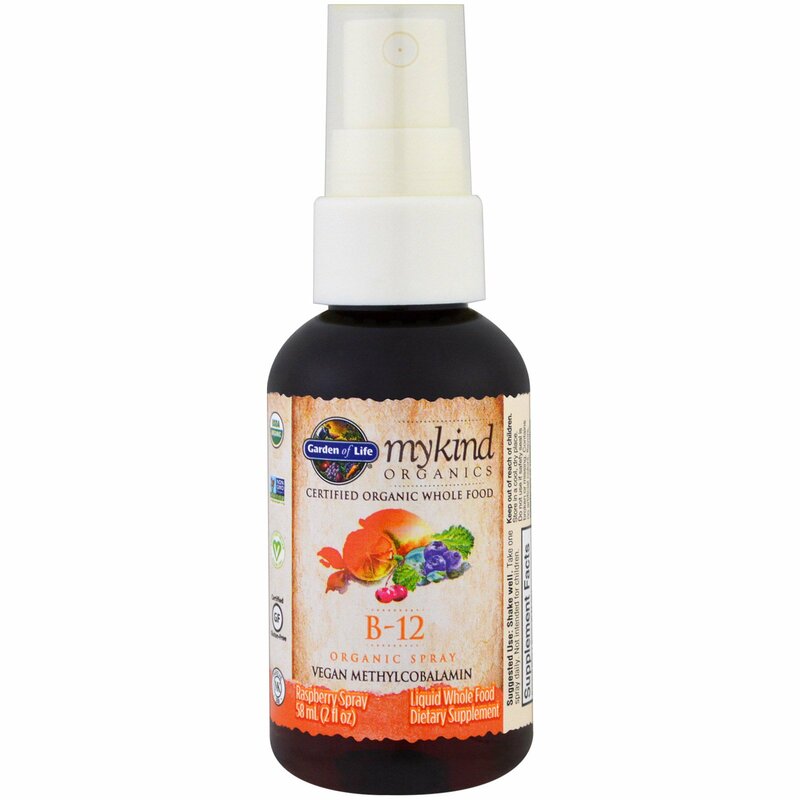 Vitamin B-12 promotes concentration and energy while supporting metabolism and heart health. Purified water, organic glycerin, organic apple juice, organic raspberry flavor, organic lemon juice, organic citrus extract (to preserve freshness), organic stevia rebaudioside A (leaf). Store in a cool, dry place. 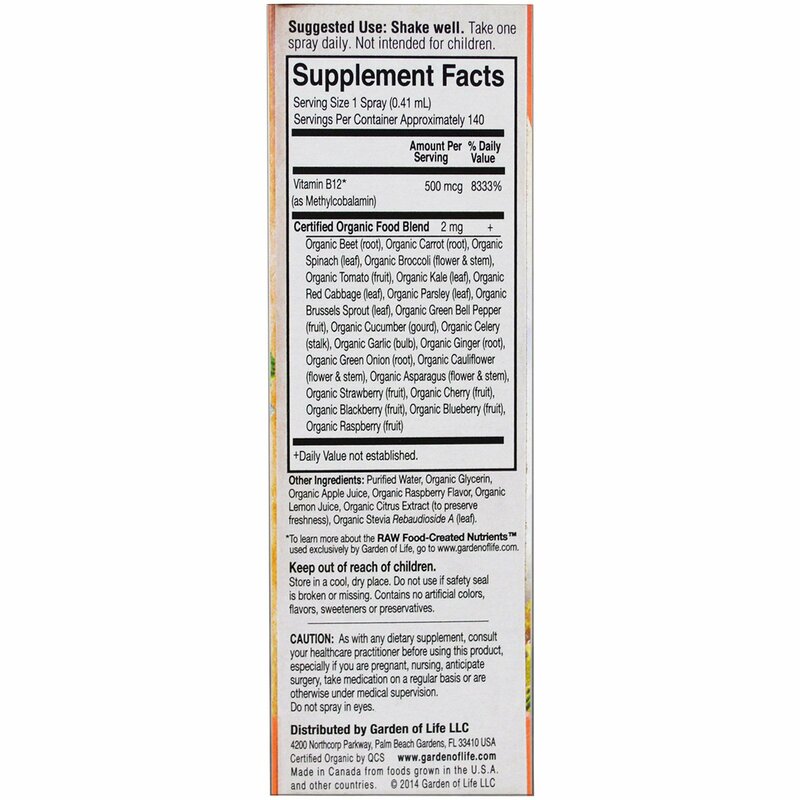 Do not use of safety seal is broken or missing.